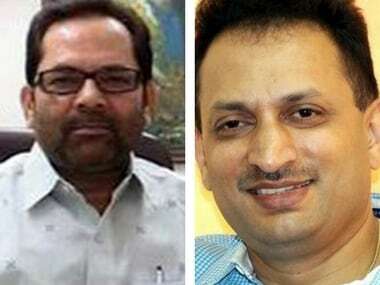 The selection of Uttara Kannada member of Lok Sabha, Anant Kumar Hegde, as the Minister of State for Skill Development and Entrepreneurship defeats the purpose of elevating Mukhtar Abbas Naqvi to the cabinet rank though with the same portfolio of minority affairs. To fathom reasons behind the obviously contradictory twin decisions of Prime Minister Narendra Modi, there is need to examine the imperatives for Naqvi's initial induction in the union council of ministers in November 2014. At that time, the Allahabad-born leader made a comeback to the central ministry after 15 years. He was a minister of state for information and broadcasting with the additional charge of the Ministry of Parliamentary Affairs in the Atal Bihari Vajpayee government between March 1998 and October 1999. In 1998, Naqvi became the first Muslim MP to be elected on a BJP ticket when he surprisingly defeated Congress candidate and Begum of Rampur, Noor Bano, by a slender margin of less than 5,000 votes. When Vajpayee was finalising his ministry he decided to necessarily include a Muslim. In an age when mobile phones were not owned by all, a frantic search ensued and an initially not-to-be-found Naqvi was located in the middle of the night before the ceremony at a friend's house in east Delhi. 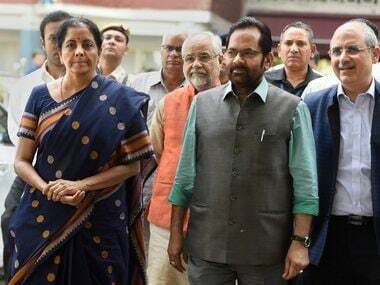 In the 1999 elections, called after Vajpayee's government failed to prove majority by one vote in the Parliament, Naqvi lost his Lok Sabha seat to Bano and with that his ministerial career was terminated. Because Vajpayee still insisted on a Muslim in the ministry, that honour went to Shahnawaz Hussain who was second time lucky from Bihar's Kishanganj. Modi had no use for such tokenism in May 2014 when he put together his ministerial team. Hussain surprisingly lost despite the Modi wave and Naqvi was overlooked. Yet in barely six months, Modi needed to include a Muslim and Naqvi who was already a Rajya Sabha member got the nod. He, however, was given charge of the minority affairs ministry signalling that Modi did not consider Muslim ministers to be given any other responsibility. 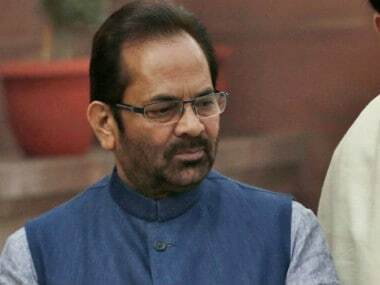 Undoubtedly, Naqvi's elevation, not accompanied by either a change or additional portfolio, is solely aimed at wooing Muslims. The decision, close on the heels of the triple talaq verdict of the Supreme Court, provides a clue towards Modi's calculations. He appears to be of the view that this move will ensure the support of a section of Muslims, especially the women. The question, however, is: Has Modi not ruined his chances by simultaneously inducting Hegde? Without a doubt. If Naqvi has been a poster boy for the BJP's Muslim-agenda, Hegde has been a showpiece for aggressive Hindutva. He shot to fame as a young man in 1994 when he broke through police barriers to hoist the Indian tricolour on Independence Day in Hubli's Idgah Maidan along with Uma Bharti and others. This act preceded Hegde's maiden election to Lok Sabha in 1996. Altnews.in, a self-proclaimed "anti-propaganda site that acts as an antidote to fake propagandists", has put out a story listing several Tweets by Hegde in the past which "gives a peek into his mindset". His assertion of the social media platform where he articulated Islamophobic and anti-Church views have been detailed. Hegde also made the historically contentious claim that had it not been "for Buddhism, we (India) would have had an Akhand Bharat (United India) and Islam would have met a more stiff resistance in the desert itself!" 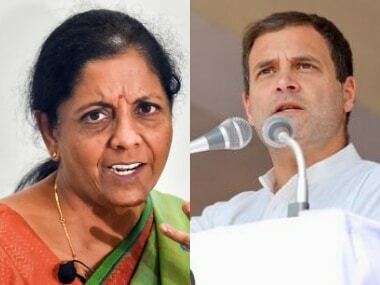 The purpose here is not to detail various transgressions of civility by Hegde, for instance, he once retweeted a comment referring to students of Jawaharlal Nehru University, who include three important people in this government — Nirmala Sitharaman, S Jaishankar and Amitabh Kant — as "A***holes" who should be "crushed" by "bringing in army". In the aftermath of the Assembly elections in Uttar Pradesh, the BJP claimed that it had received the backing of Muslims. Insightful data provided to this writer by Datanet India reveals that while there is still no significant support for BJP from the Muslims, there is a possible kernel which can be cultivated. Careful analysis of data from the 30 constituencies in the state that have the highest percentage of Muslims — ranging from 63 to 39 percent — in the electorate, is indicative of the ginger steps that the BJP has taken in recent years in securing the support of Muslims, at least in Uttar Pradesh. Analysis reveals that 12 of these 30 seats were won by non-BJP parties in 2012 but were bagged by BJP during the 2017 Assembly election. The figure was marginally balanced by BJP losing two seats — Thakurdwara in Moradabad and Kairana in Shamli — to opponents, though in 2012, it had won these seats. This indicates that BJP is in a better position in Muslim-dominated seats than before. A deeper analysis underlines that the BJP secured more Muslim votes than it did in the past in chosen Assembly segments. The BJP vote has gone up marginally in those villages and towns spread across the 30 seats where Muslims account for more than 90 percent of the electorate. This increase compared to 2012 is barely two percent, but, nonetheless demonstrates that en bloc voting against BJP is not as consistent as it was in the past. However, Muslim support for BJP starts declining in seats where their presence is somewhat matched by Hindus in the electorate. This shows that reverse polarisation works to BJP's benefit in places where Muslims are present in significant numbers but are not overwhelming. This is most apparent in Deoband where Muslims accounts for almost 34 percent of the electorate. This seat was won by BJP this time with a vote share of 43.64 percent. 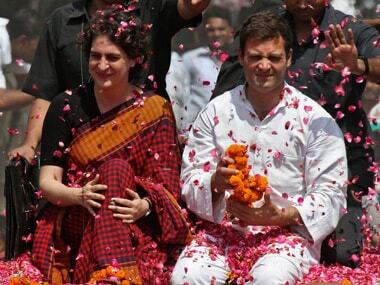 In 2012, the Samajwadi Party had won this seat and the BJP won just 5 percent of votes. The upswing in BJP's favour was clearly due to Hindu consolidation in its favour. The prime minister's repeated attacks on fringe forces within his brigade, be it against cow vigilantes or other such groups, is aimed at harnessing this potential nascent support among Muslims. But his efforts are likely to come to a nought with the induction of Hegde in the Cabinet and continuance of others who are noted for their hard-Hindutva posture. Naqvi's promotion can reap benefits only if the riot act has been read to Hegde in anticipation of possible future indiscretions. To play by the new rule of Modi, he and others will have to repudiate a lot of their past. The question is whether they will be able to control political instincts honed over several decades. Modi's strategy to woo Muslims will hinge on this.